Description: TSAL181 - Horse And Rider Marble Statue - Horse and Rider is one of those marble statues made in Italy that have only entered the market as vintage marble statues, but are rearing for a place as marble statues life size. 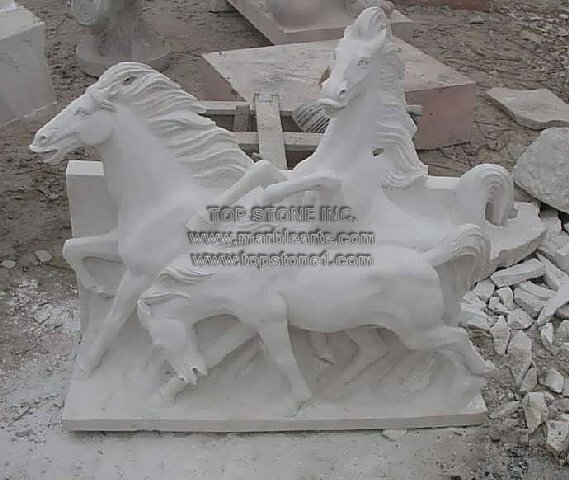 Its hand carved marble proportions sets the marble artist in the limelight again for depicting marble carvings so perfect that these bonded marble statues as well as the marble animals look so life-like. You can set up these animal statues at building entry for maximum coverage.